Why Your Ascension Parish Home Didn’t Appraise. We all believe our home is the best and is worth every penny of the asking price. You’ve done all the right things to upgrade, in your opinion. Your home looks the best in the neighborhood and you want to get all you believe your home is worth. Nothing is more gut-wrenching than to find out that your Ascension Parish home may not be worth what you originally thought. Below, I’ve listed several reasons why your home didn’t appraise. You know that you’ve done everything to upgrade your home to the highest end. Extra thick granite, high-end appliances, and an energy efficient water heater have cost you a pretty penny. All these upgrades have attracted buyers, but appraisers may see them differently. You may have over upgraded your home. If there have been several homes in your neighborhood that have sold, and they didn’t have those type of upgrades, the appraiser will not give you the same kind of value that you paid for them, making your home appraise for less than you thought. Where’d He Get those Comparables? If a home in hasn’t sold in your neighborhood in some time, the appraiser may have had to pull comparable sales from outside your neighborhood. This could possibly hurt your appraised value. Also, the appraiser could have been “comparable challenged,” meaning they didn’t use a comparable that best suited your home’s value. We, in Ascension Parish, have seen home’s values fluctuate dramatically since the Great Flood of 2016. Some homes have gone up thousands of dollars while in other areas they have dropped thousands of dollars. With this sudden shift, appraisers have had to really do their homework to get the value right. Be sure you have consulted with an Ascension Parish REALTOR® prior to listing so you know your home’s proper value due to the shift in the market. It is unfortunate when you and your Ascension Parish Realtor® have worked together to have the home priced where they believe the home should be priced, only to find out during the appraisal process that the home appraised for less. There are many great appraisers but sometimes an appraiser’s inexperience or knowledge for an area can affect your home’s appraised value. You as a seller have options! 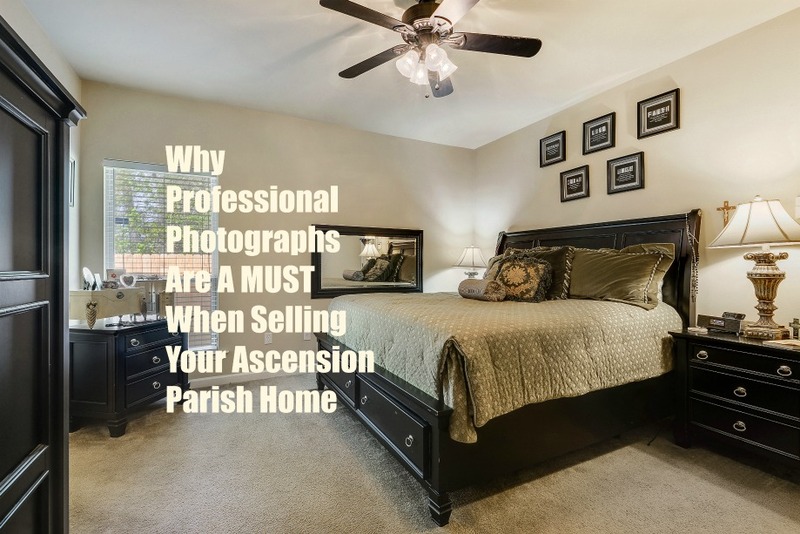 Please make sure you discuss these options with your Ascension Parish Realtor®. Has The Housing Market Changed In Ascension Parish Since The Great Flood? The very short answer is yes and no! From a volume of sales, we are only speaking of the difference of 12 homes if we look at the same time period of January 1, to March 4th. In 2016, 258 residential homes sold. This year from January 1st, 2017 to March 4th, 2017, 246 homes sold. The difference is so small enough it would not indicate any change in the market. Our market can’t be determined by numbers alone. The market is still being driven by all the intangibles offered by Ascension Parish; schools, location, and lifestyle. So what’s the activity currently? The market is great, but it seems to be leaning towards a seller’s market because inventory is very low and demand is higher due to the lack of homes available due to the Great Flood of 2016. The energy is high but very optimistic. Most of the others I’ve spoken to about our market say that they don’t feel like housing prices will spike up like they did after Hurricane Katrina. Most lenders, investors, appraisers feel that kind of spike won’t happen. The majority od people affected are wanting to stay in their current home instead of getting out of town to find a new place to live. While this makes a potentially stronger market for sellers, it doesn’t mean they are getting $10,000 over asking price cash like had happened before. Buyers are much savvier, and they would rather wait for the correct price home to come along. While multiple offers are happening, I haven’t seen or heard of any buyer willing to pay thousands of dollars cash for a home that isn’t worth it. This is good news because it makes for a more healthy market. 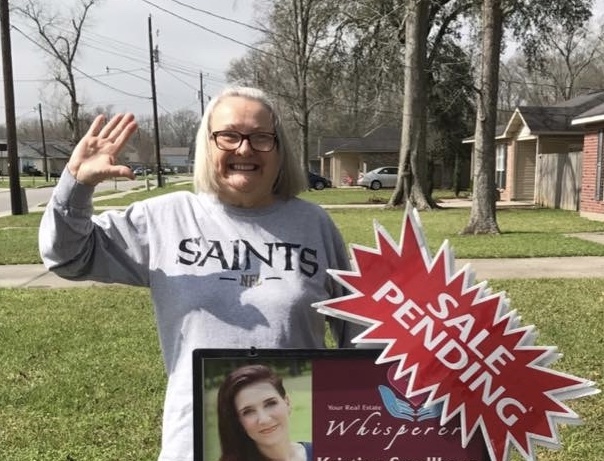 We have been blessed here in Ascension Parish that our market, even in the housing crash, never fell out completely with loads of foreclosed homes. We have a lot to offer here other than a nice neighborhood, as we are sandwiched between two major cities making it convenient for people working in either; our home prices are not outrageous and we, of course, have amazing schools. ( Link to contact me https://yourrealestatewhisperer.com/personally-contact-me/). Why Not go FSBO in Ascension Parish? Of course me being a REALTOR® I am going to tell you why “For Sale By Owner” doesn’t really work out in everyone’s best interest. That’s my job right? Well, I am going to be honest, it does workout for some people. They sell their home fast for the price they want, but could they have avoided the paperwork and aggressive marketing stress? Could they have put themselves in danger because they hadn’t properly vetted the possible buyers? Could they have gotten it sold faster? Could they have not wasted their precious time with unqualified buyers? The answer to all those question is without a doubt YES!!!!!!! Let me explain. On the first point it is my job to educate buyers and sellers to why “For Sale By Owner” is not always the best idea. We in the industry know our market better than anyone. We know what’s selling. We know the best marketing plan. We know when a home is overpriced and isn’t worth what the “For Sale By Owner” is asking. Most of all we know how to put together a contract that protects the buyer and the seller. We know our profession. 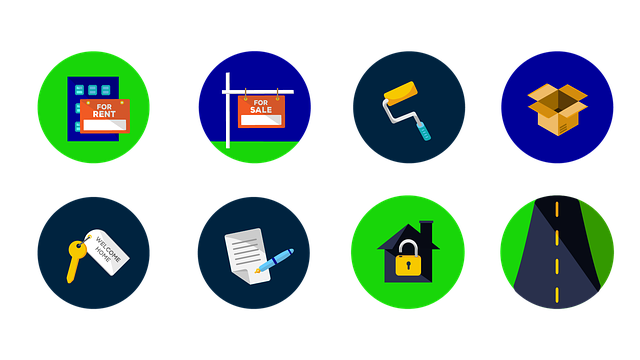 So much goes into buying and selling a home. It isn’t just the contract. You have to understand and know the right people. For instance, do you know the closing attorneys in your area that specialize in your type of sale? A REALTOR® does. You have to know the right inspectors to inspect the home for buyers – a REALTOR® does and for less money than finding one on your own. Not to mention any addenda to the contract if something during the transaction comes up. Most “For Sale By Owners” do not protect themselves using the right verbiage or addenda from negotiated terms after the contract is signed. In the end, this costs them money and possible litigation. Onto my second point – pricing the home. Most sellers are trying to sell the home for what their neighbors got down the street. So if the home down the street sold for $200,000. They want the same thing. Guess what? The appraisers know that the sellers are not paying a commission to the agents and may give you less value to your home because of it. Also, both pricing and values fluctuate and decrease, so in order to have your home priced in line with the rest of the comparable homes, you need to know the market. A REALTOR® does and can give you the best competitive price for your home. When I began working in Ascension Parish as a REALTOR® the sales contract was 3 pages. Now its 7 pages. When I put in an offer to send to the listing agent I have a minimum of 15 pages to send. All of these pages are to protect the buyer and the seller. I add addendums and disclosures, so everyone in the process is aware of the “in’s and out’s” of the transaction. These forms wouldn’t be used in most cases when you are buyer or selling a “For Sale By Owner”. Furthermore, I know what the sales contract means – every single line – something that only an experienced REALTOR® or an attorney would know. We live in a day an age where we don’t really know everyone in Ascension Parish. At one time we knew someone in your family. Whether it be your momma or your sister’s cousin, somehow we could figure out who you belonged to. It’s not that way anymore. Our Parish has grown in leaps and bounds, but with that we need to be careful who we allow in our homes when we are trying to sell a property. Our safety, even as a REALTOR®, when we show homes to prospective clients is forefront. Not too long ago an agent was kidnapped and killed, because she showed a home to a prospect that she hadn’t vetted first. It can happen to anyone, and you have to know what questions to ask to know if they are serious or just want to stake out your home to rob you blind at a later date. I make sure that ALL of my listings have a SUPRA® lockbox on them. I know who’s come to your home and at what time. These are “smart” lockboxes and I receive a text message letting me know anyone who come into your home using the keys from this lockbox. This is statistically true, You can just do a quick Google search in your area and you will see that not only does a REALTOR® sell it faster, they get more money for your home. When you list on your local MLS you are presenting your home to ALL the agents in the area that are members of the MLS. This means that if they have a client that’s been waiting for a home in your price range, they will be sending that client the home the minute it hits that market. Generally most agents don’t even look at the “For Sale By Owner” website since many will not pay the buyer’s broker a commission, or the website isn’t updated regularly and the home had been sold months ago. A REALTOR® knows how to market your home with professional photographs, the right kind of marketing, and how to showcase your home in the best light with staging and decluttering. In closing I’d like to say this. I personally handhold each one of my clients. It’s just the level of service I like to provide. Some people have had great success selling their home themselves, but more than many have not. Wasting many weekends hoping someone would call to see their home, I take personal pride in helping sellers not waste their precious time or their safety with unqualified buyers. I make sure buyers do not waste their time with homes that are over-priced when listed “For sale by Owner”, as do many agents. That’s why “For Sale By Owner” isn’t the best way to go when you want your home sold fast. It doesn’t save you money, because you had to pay all those mortgage payments waiting for a buyer. In the long run it cost you.